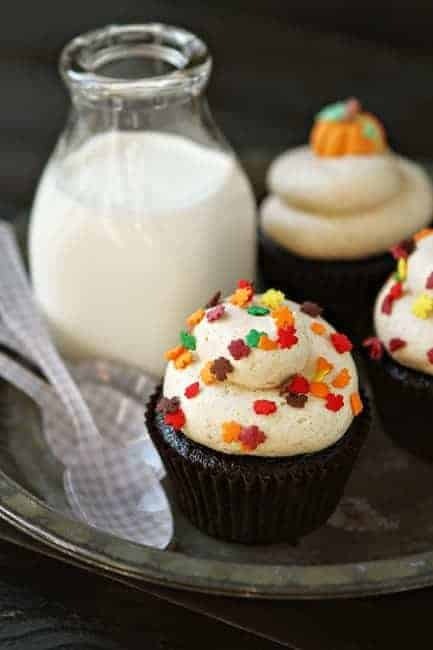 This week’s featured cupcake recipe is Pumpkin Mocha Cupcakes from My Baking Addiction. Doesn’t it look delicious? When a man with a toothache says he wants pumpkin bread, you make it for him. Especially if you’ve already been planning to make some, and it’s a Sunday afternoon, and you really want the house to smell good. I have been planning on this for a while, but I didn’t actually bother to find a recipe until it got time to settle down to it. I figured I’d try my cookbook collection first, but they turned up nothing of consequence. (Okay, that’s a stretch – they turned up plain old nothing.) So I turned to my trusty internet, with its trusty other-people’s-cooking-blogs (and with AllRecipes – let’s give credit where it’s due), and low and behold found an amazingly simple recipe on of my old faithfuls – My Baking Addiction.